As a small group worship leader, your role is no less important than the main stage worship leader. You are creating space for God and you are helping to form people as they worship. After 25 years of leading worship, many of my favorite memories are leading songs to groups of 3-10 people in a living room. Worship leadership has more than just songs and singing to consider. Think about the physical space. Working with your host and group leader, get the couches, chairs, and lighting best for the group (this might be different than the normal layout). Try to face as much seating as possible pointed away from the entry point(s) and face chairs towards one another. Dim, or turn off the overhead lights, turn on some lamps and light some candles. BIG IDEA: A small group worship leader helps create a physically inviting and worshipful environment. In order to minimize distraction for the group, consider standing facing the main entry point to the room. People facing you will not be as distracted when people arrive or step out. Since it’s a small group just one person making a move will cause focus to turn to them. Do the best you can to help folks avoid distraction. BIG IDEA: A small group worship leader strategically places themselves in the room to help remove distractions. Leading songs without amplification has unique challenges. There can be crying babies, coffee grinding, and kitchen chatting competing with the focus. Try to articulate and be clear with every word and phrase. Be clear and direct at the beginning of each phrase; sometimes I put a little rush on the first syllable. This is a subtle but important factor to small group singing that can help people engage the lyric more fully because everybody will better anticipate the first word of the next line. Use your body and facial countenance to lead into each section. Consider cueing the ensuing lines, especially in the beginning of the songs. 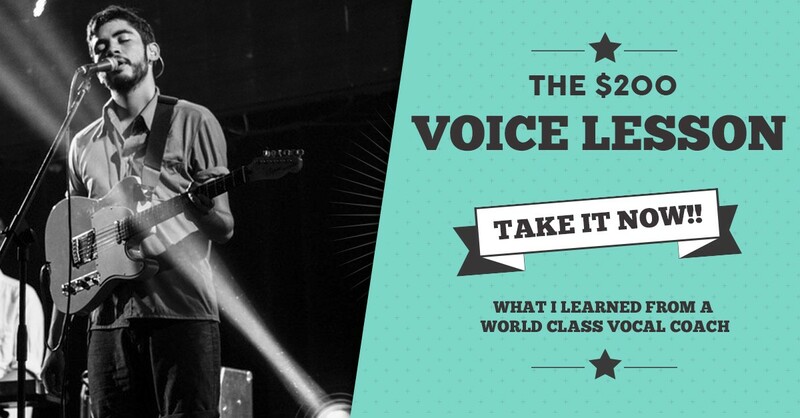 BIG IDEA: Sing lyrics with conviction and confidence, often times in front of the beat. Start with the chorus and repeat it. Repeat verse sections. Repeat chorus sections. Consider dropping whole sections of the song if they are too wordy or complicated. Leave intentional space in the songs. Breathe. *I would discourage the temptation to set up screens, powerpoint on TVs or handing out song sheets for small groups. What did the church do for centuries before printed sheets and electricity? Can you connect with those historic roots and turn off visual media? BIG IDEA: Choose and arrange songs for your small group that are simple and memorable. One of my favorite parts about small group worship is the invitation explore volume dynamics in worship. You can simply strum a chord once and start to sing without constantly strumming. You can and should lead “fast” songs, don’t be afraid to be loud together! Within songs, you can make verses whisper while choruses explode. As long as you are INTENTIONAL and CLEAR, people will follow. BIG IDEA: In a small group, allow your musical worship to be both loud and soft; use your instrument and voices explore every dynamic possibility. Last Monday I sent out a text to my worship team. It read as follows: “Hello Worship Team 3. This might excite some of you and bum some of you out, but I sense I am supposed to lead with one guitar and one vocal this Sunday. No band. We will resume the following week. Please come early and sing with vigor as I lead!” One by one, I heard back from my team with texts: “I’m in!”, “Sweet!” “Word” and “Praying for you”. Our church has loads of musicians and it’s wonderful. We have an overflowing waiting list for every spot on our team! For a sanctuary that holds about 150, we have an amazing sound set up with vintage Rogers drums, Hammond Organ and top of line guitar amps. We pretend we are a much larger church when it comes to a quality live band experience. Most of our worship ministry’s 25+ musicians only play 2 out of 8 weeks. That being said, we often times intentionally dial down the production. Why?